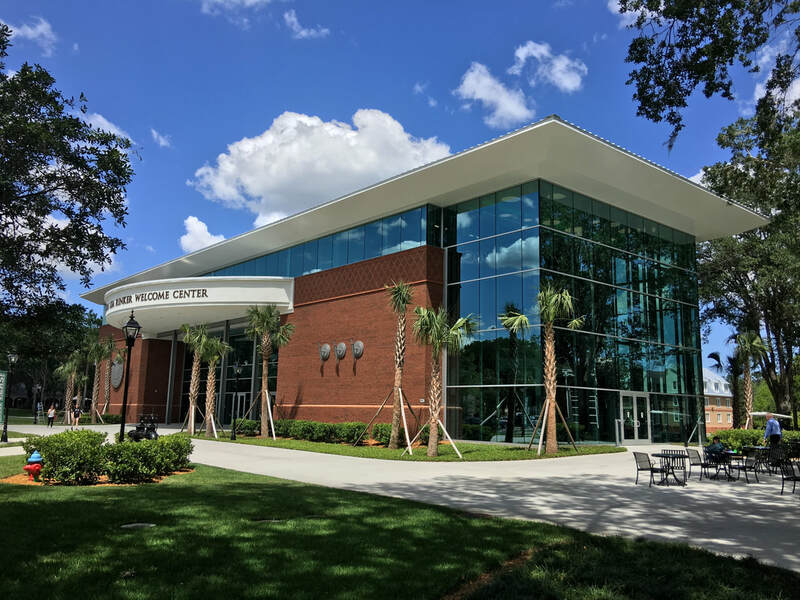 The new, three-story, 24,000 square-foot structure in the middle of Stetson’s historic district is now welcoming prospective students and their parents to campus, assisting current students and welcoming alumni back to campus. 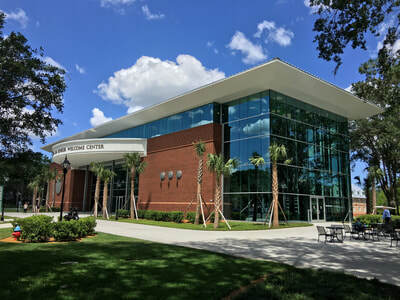 The first floor includes a reception desk, waiting areas, presentation rooms where visitors can learn about the academic programs at Stetson, interview rooms where admission counselors can meet with prospective students and their families, and space for alumni to gather when they return to campus. 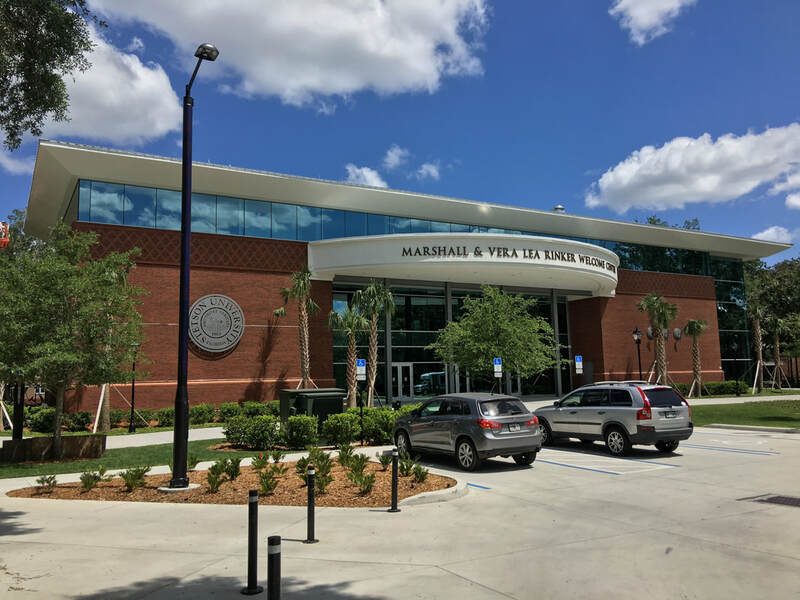 The second floor will include the “One Stop” service area where representatives from Student Financial Planning and offices of the Registrar and Bursar can assist students in handling several critical issues at one location. The second floor also accommodates Career and Professional Services for current students as they prepare for their careers, and returning alumni who may be in need of additional services. 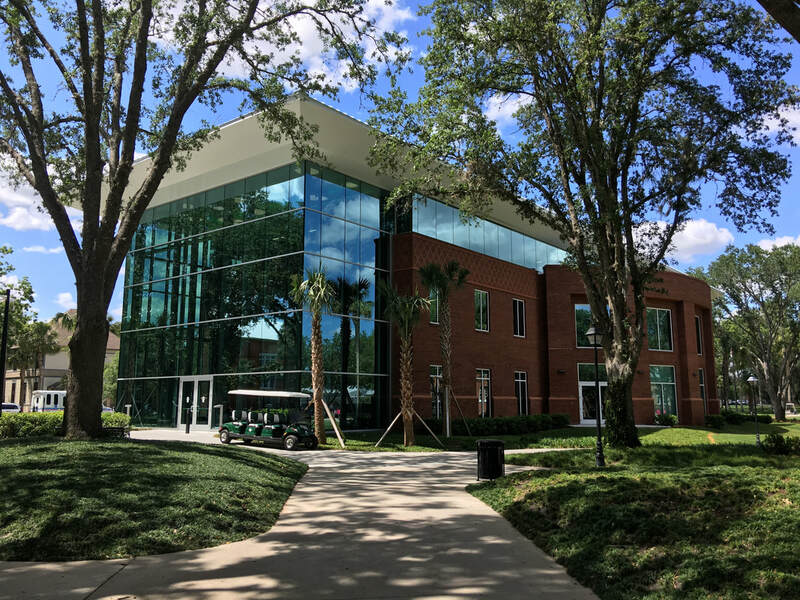 The third floor is home to the Recruiting Operations Center where potential Stetson students can be helped through the recruitment and admissions processes. The supporting structure for this building is block. There are 3,800 twelve inch units up to the water table and 16,500 eight inch units above that to support the brick. 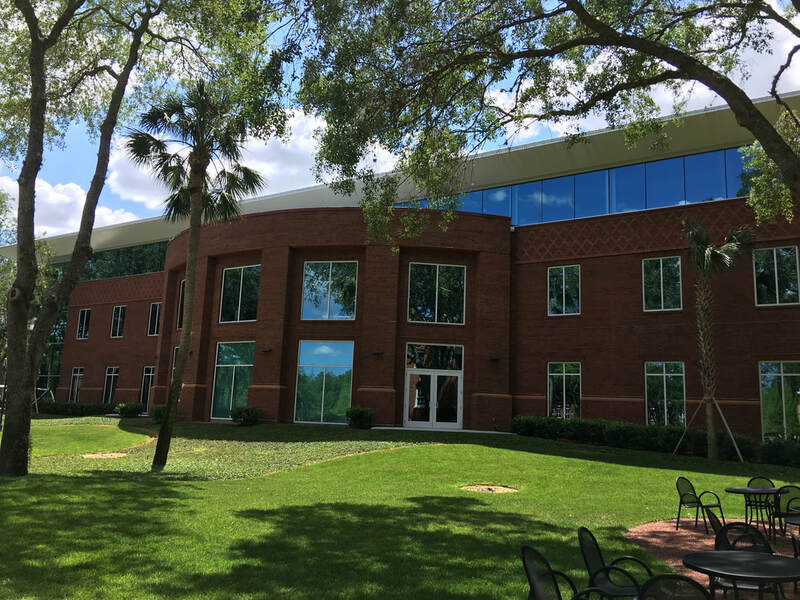 There are 59,000 modular field brick with custom colored mortar finished with antique jointing on this project. We installed a “diapering” pattern band around the top of the building. This was accomplished in multiple steps. 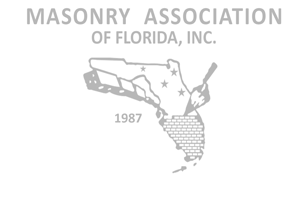 First, we used an alternate colored solid header brick and project stretcher brick at the bottom. 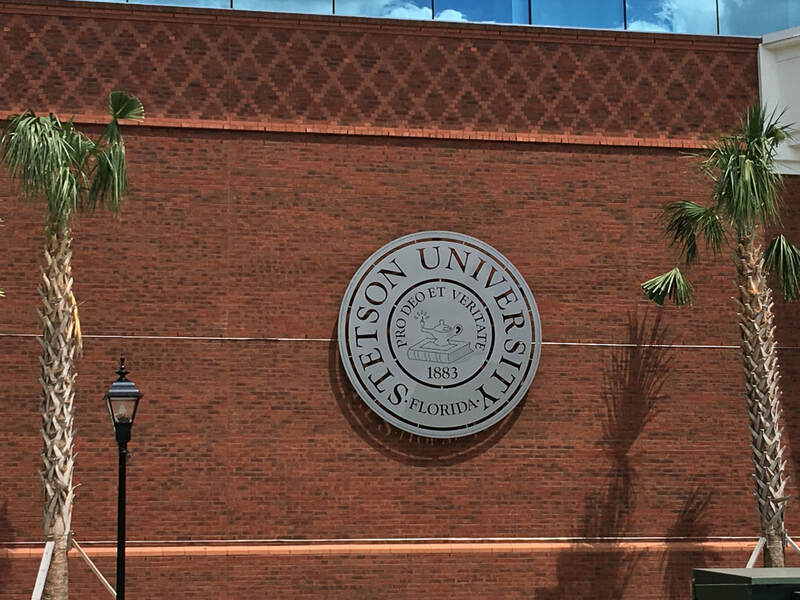 Next, we used alternating colors in a stretcher and header pattern and precisely laid out the pattern to center it on each façade. Finally, we projected out two more courses and laid a rowlock finishes the top. The projections at the top and bottom frame out and give depth to the “diapering” pattern. This project also has a custom brick water table shape which due to time constraints was installed last. We worked with the architect to determine a method to skip over this shape and still maintain the look and structural integrity of the brick wall. 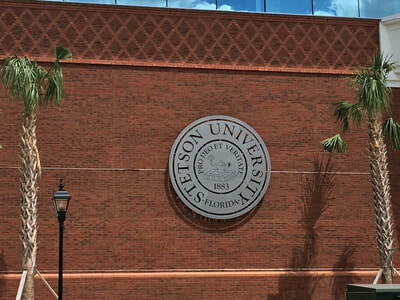 This was all done to match the existing library nearby and preserve the historic look of the city and Stetson University campus.